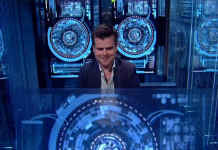 Big Brother 2014: Chris up for eviction and £10,000 added to the prize fund! Today, the producers begun this weeks theme, the 'Power Of Money', which gives housemates the chance to boost the winners jackpot by £25,000. Big Brother 2014: The Power Alliance gets a new member! The Power Alliance which consists of Ashleigh and Chris has gained a new housemate. Earlier today. Big Brother 2014: The Power Alliance is formed! On Sunday night Ashleigh Coyle was told that the public had chosen her to be the new Power Housemate via a poll on the BBUK app.